DataTill has added a new monthly reporter for figures generated from the Lead to Receipt process. This report includes comprehensive dropdowns, graphs and data point summaries. 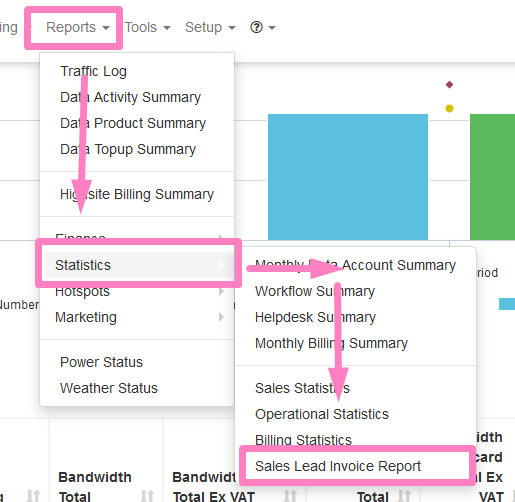 This report can be located by navigating to Reports > Statistics > Sales Lead Invoice Report. It is important to note, that the report works on a monthly/ month to month basis. 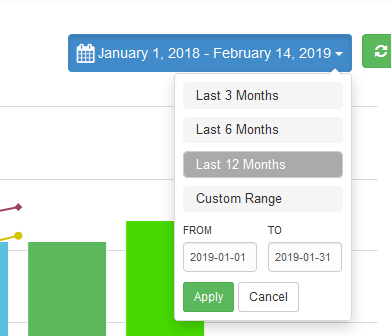 The Date Picker is specifically geared to allow the user to choose date ranges for the last 3 months, 6 months, 12 months and custom month to month ranges. The Data Point summaries on the left, displays the number of data products linked by their commission categories. This report also has a comprehensive dropdown, which allows the user the ability to expand (and collapse) the data to analyse the full break down of each figure per invoice. ← Have you checked your VAT settings for the new year?